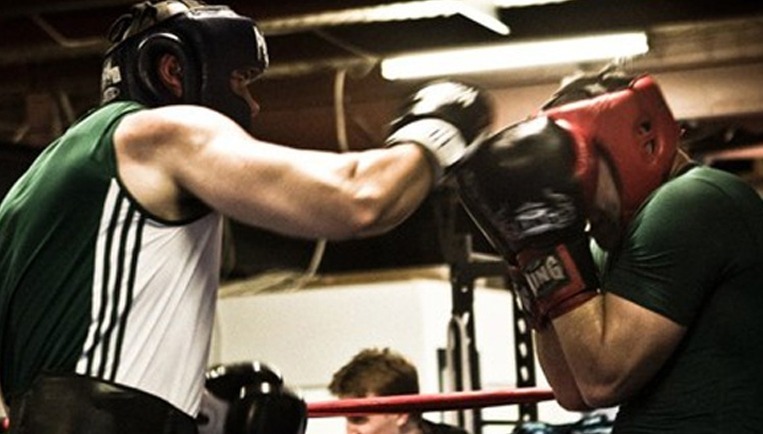 Masters boxing is an amateur or Olympic style boxing class for anyone over the age of 35. Our masters boxing program aims to improve your fitness as well as improving your technique as a boxer. All contact is optional. You can also step it up and spar in a controlled environment when you are ready. There are a number of benefits that can be gained from boxing as a form of exercise. Boxing classes can help improve cardiovascular fitness, strength and co-ordination and are a great way to relieve stress. Boxing can also improve confidence and may one day help you to defend yourself or other people if necessary. Our masters boxing class allows you to develop your boxing technique and skills in a safe and controlled environment. You have the choice whether to engage in sparring activities or just to focus on fitness. There is no pressure to compete if you don’t want to – you can work at a level you feel comfortable with while enjoying all the benefits of one of the best forms of exercise you can get. Is masters boxing for you? If you are over 35 and looking for a way to improve your boxing technique or increase personal fitness, masters boxing classes could be right for you. Even if you’ve never tried boxing before, our masters boxing offers the opportunity to branch out and learn a new skill in a safe environment, supported by experienced boxing trainers.Whether you want to compete and learn to fight or you just want to build up your strength and cardiovascular fitness, you might masters boxing has something for you. To learn more about masters boxing or register for a class call us today.